I had a dilemma. I’ve been working hard on getting book three of The Crystal Palace Chronicles going for several weeks now but I wasn’t getting much cooperation from the characters. I couldn’t figure out why that is. While I’ve experienced writer’s block in the past, this was something else. I knew what I wanted to say and how I wanted the story to go but it just wasn’t happening. Then suddenly they all turned and screamed out in unison. The reason I couldn’t get book three going was because books one and two still needed my attention. My records indicate thousands of you downloaded Heroes and Hearts and Descendants of Quendaris since their release earlier this year. Many of you have posted reviews online and contacted me expressing how much you love the story and characters and can’t wait for more. Others however have indicated disappointment in some aspects of the books. Believe it or not, these critiques did not upset me. As a writer and avid reader I know you can’t please everybody, not everyone will be fans of my work and negative feedback is perfectly normal. In fact authors who have nothing but positive reviews tend to come across as sketchy. Even books and movies appreciated today as classic literature and masterpieces had their share of critics and seeing nothing but positives tends to make they buying public wary, as it probably should. What’s my point? Ok here it is in a nutshell. I appreciate all my readers and their feedback. Without you I’m just another poor schlub posting a block of words on the internet. I take into account every interaction I have with my readers, both good and bad, and the negative feedback I have received have two glaring issues in common. #1 The books are too short. Happily I can say people haven’t complained about not getting their money’s worth but they are complaining that the stories end too soon. While I understand the old adage “Leave them wanting more” I’m hearing this complaint way too often. #2 Isabel, the heroine of Heroes and Hearts, is too accepting of all the craziness happening around her in the other realm. While this issue did come up during the publishing process and I had made efforts to add scenes and dialogue to circumvent this, many of you are expressing that I just haven’t done enough and it still seems to be an issue. Both issues have nagged me throughout the writing and editing process and I know them in my heart to be true. 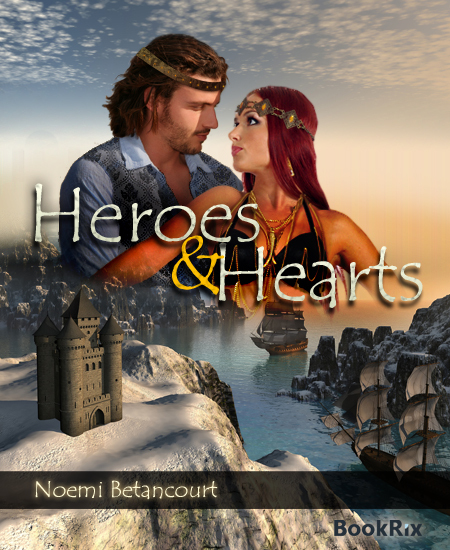 So, I am announcing that as of August 5, 2013 Heroes and Hearts will be pulled while I work to improve and expand the story. Prince Alaric, Isabel and the others are extremely happy with this turn of events and the words have just been flying from my pen. It is my intention to have a larger edition of Heroes and Hearts available for sale in both ebook and paperback form by October 2013 under a new name! Of course, I’m not doing this in an attempt to please everyone and I won’t be continuously pulling the books off the shelves to revamp every couple of months. This action is simply because as a writer and reader of fantasy and romance, I wasn’t entirely happy with the end product but figured it was the perfectionist in me screaming to get out. We are, after all, our worst critics. However, as so many of you echoed dismay with the same points that I myself wasn’t happy with, I feel a revamp is due. 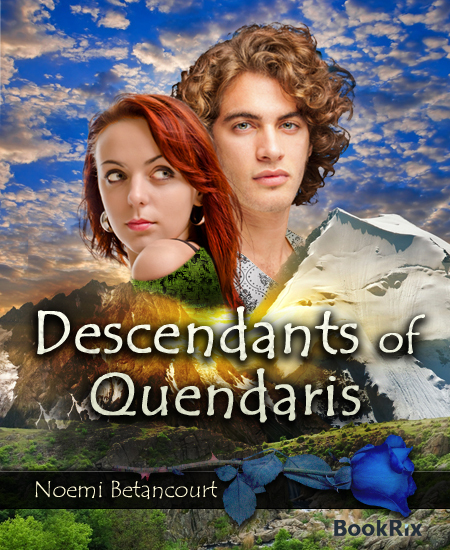 Once the new version of Heroes and Hearts is out I’ll start working on expanding Descendants of Quendaris into a full sized novel as well and hope to have that version ready by the end of the year. Once this task is complete I anticipate placing my full attention on Book 3 and hope to have that novel ready for release by January 2015. In conjunction with a featured post on Me, My shelf, and I here is a list of just some of the songs I listen to while writing in no particular order. The talented author of The Granite Key gives some insight on writing in one of my favorite subjects, historical fiction.